A photograph showing Dan Lykins standing in a garden at his family home located at 909 Santa Fe in Atchison, Kansas. 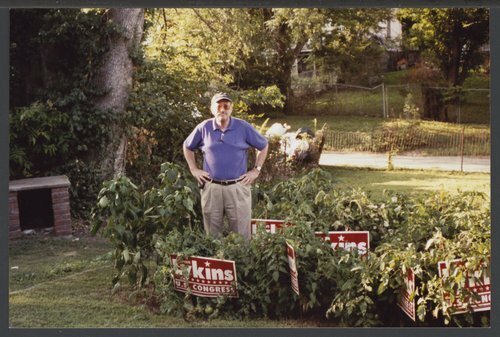 There are 'Dan Lykins for U. S. Congress' campaign signs in the garden. He ran for Congress in 2002.